Inside Stories: LISTENING IN LITERATURE -- "THEIR EYES WERE WATCHING GOD"
LISTENING IN LITERATURE -- "THEIR EYES WERE WATCHING GOD"
The neighbors are talking, sitting in on judgment. 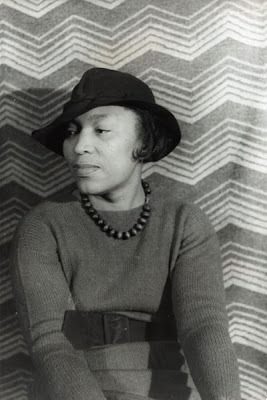 That, on the surface, is what leads Janie Crawford to tell her life story to her best and oldest friend, Phoeby Watson, in Zora Neale Hurston's 1937 novel "Their Eyes Were Watching God." Janie tells her friend, "Ah don't mean to bother wid tellin' 'em nothin', Phoeby. 'Taint worth the trouble. You can tell 'em [the neighbors] what Ah say if you wants to. Dat's just the same as me 'cause my tongue is in my friend's mouf." Maybe Phoeby's defense of her friend will get the neighbors to stop their petty gossip, but it doesn't matter so much. "They sat there in the fresh young darkness close together. Phoeby eager to feel and do through Janie, but hating to show her zest for fear it might be thought mere curiosity. Janie full of that oldest human longing--self revelation." That, rather than cutting the grapevine short, is the deeper motivation for Janie talking. "Janie saw her life like a great tree in leaf with the things suffered, things enjoyed, things done and undone. Dawn and doom was in the branches," writes Hurston. And Janie says, "Ah know exactly what Ah got to tell yuh, but it's hard to know where to start at." The neighbors are only judging Janie for her recent absence from the town, and for her wearing overalls that day. But why she was gone and why she is wearing overalls is merely a small branch of the tree of her life--it can't be justified, or at any rate explained, without following that branch down to the trunk and finally the roots of the tree. So Janie goes back to her childhood. "Phoeby's hungry listening helped Janie to tell her story. So she went on thinking back to her young years and explaining them to her friend in soft, easy phrases while all around the house, the night time put on flesh and blackness." Janie recounts the story of her family and her various relationships. There's a pretty good summary on Wikipedia here. Suffice it to say, it's dramatic stuff--two unsatisfying marriages followed by love with man named Tea Cake. Tea Cake gets rabies from a dog bite during a hurricane, attacks Janie in a rabid fury, Janie kills him in self-defense, she is put on trial and acquitted, and returns to Eatonville, Florida, where the neighbors gossip about her and where she tells her story to Phoeby. The book becomes the telling of this story, but occasionally the scene returns to Phoeby and Janie sitting together, and we recall that this is a story being told to someone else. Janie has lost her love; has been judged and acquitted by a jury; has been judged and gossiped about by her neighbors. But by the end of her tale, Janie has revealed herself. And no less important, Phoeby has given her a full hearing. "There was a finished silence after that so that for the first time they could hear the wind picking at the pine trees."